DJ Hill co-founded Compass Surgical Partners with Sean Rambo in late 2011 to help surgeons and hospitals create high value partnerships that provide exceptional surgical services. As Chief Executive Officer, DJ leads a deep executive team that oversees both hospital and physician only joint ventures. The firm is particularly known for its competence in orthopedics (notably outpatient joints), spine and ENT. The firm’s surgery centers enjoy an industry leading track record of clinical and financial performance. 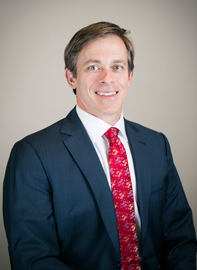 Prior to Compass, he was responsible for Titan Health Corporation’s rapid growth as Chief Development Officer. Titan was acquired by United Surgical Partners International in 2011. Over the last 20 years, he has also served as an investor, board member and officer of several successful healthcare services start-ups. As a graduate of University of North Carolina (MBA) and Wake Forest University, DJ resides in Raleigh, North Carolina with his wife and three daughters. Locally, he has also served on the boards of several charter schools and innovative nonprofits.